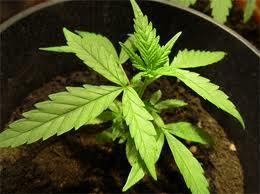 are easily cloned unlike the early Indicas which are very stubborn and you will have to take careful care of them. Here are some useful tips on how to do this. Firstly, you have to figure out how to promote the root grow. Think about the exact place where the root will start growing before cutting it. This part of its stem has to be kept in a dark place covered by a certain wrapping. This method is the so called etiolation and it encourages the rooting process. The cutting should be made with sharp scissors of a pruner. The stems should be made sterile after each time they are cut. Do not use a dull instrument because it can crush the stem and make the formation of the roots harder. You can use a razor blade as well but be careful not to hurt yourself. A cut in an angle will make the absorption of water easier by providing a larger surface. Secondly, the process or root formation requires air; however it shouldn’t be let close to the stem because it will cease the action of the capillaries and make the growth hard. You can prevent this from happening by immediately putting the cut under water Moreover; you can also make the cut under the running water of the sink. Then it has to remain in the rooting solution for some days. Do not just leave it in the water. It needs oxygen to sprout the roots. You can use an airy medium to make passive aeration. Furthermore, breathing also makes the process difficult for the cutting. You can make some kind of a dome of plastic in order to lower the levels of transpiration and keep the water in the cutting so that it does not go dry. Another idea you can use is to cut a half of every leaflet in order to limit transpiration. In this way you will still have the some leaves on your stem but with a smaller surface area. Thirdly, you have to maintain a good lighting. Do not use direct sunlight because it will heat the cutting in the dome way too much. However, a dark environment is not good for growing as well. This leads us to the conclusion that fluorescent lighting is the best solution. You can use an HID but not very close to the rooting system. Indirect sun from the window is also a good idea if the cutting is kept in a warm place. Last but not least, don’t forget to check the pH of the soil and the nutrient concentrations for your fresh marijuana clones. When the cutting is beginning to grow this means it has developed roots and you can remove the dome. Have in mind that at first the cutting may easily die so you have to give some mist to it to make it stronger. More on marijuana clones here. Want to know more about growing marijuana? Check out the FREE book Marijuana Plant Care for more information! I use an ez-cloner or you can use a turbo cloner. I have a rootball of 8 to 12 inches in 10 days. Doesn’t matter if its sativa, hybrid or 100% indica (romulan and mango to name 2) I agree cut cutting at 45 degree angle it need air i use a fish air pump and airation stone. I tried the dome lost some clones where as with the ez cloner i get all the cuttings to become beautiful ladies don’t lose any.